Deadline for enrolment is August 27 (Tuesday). Detail and application form were found in the following attachment. The Torch 《火炬》- Volume 47, Issue 2 has been published, please visit Torch Section. The snapshots of Ying Wa Old Boys Football League 2012-13 Final were uploaded in the following gallery. 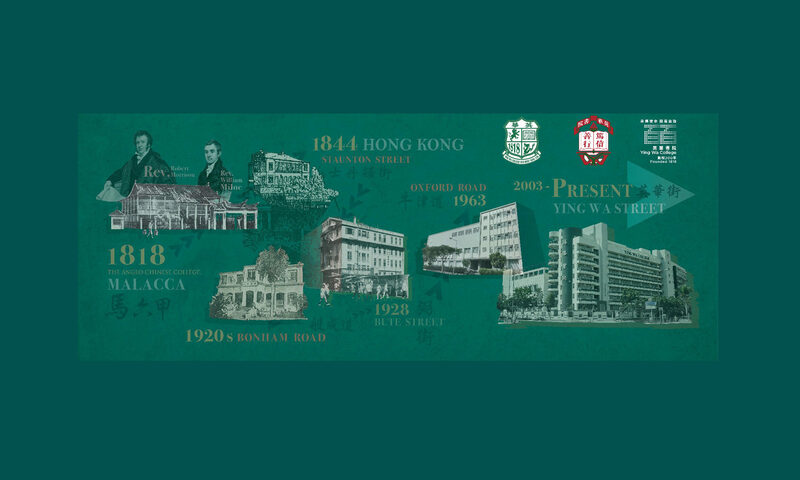 The official website of Ying Wa College Old Boys’ Association has been revamped with a new domain name ywcoba.com. We hope more old boys will utilise the new website to share news of alumni. If you have any news or suggestions, please feel free to let us know by email at . 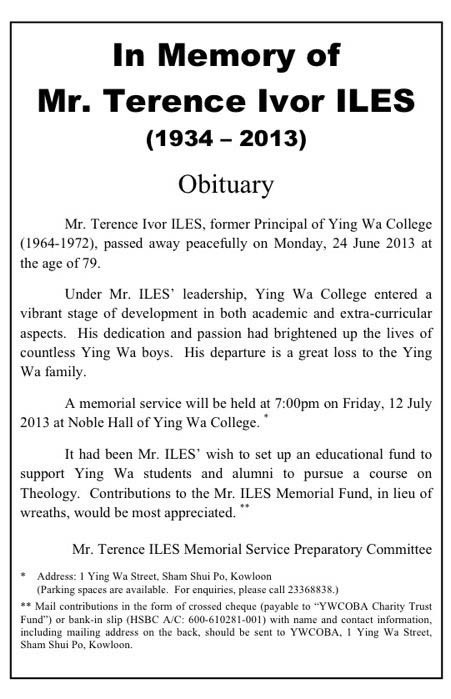 The Memorial Service for the late Mr. Terence Ivor Iles ( former Ying Wa College Principal 1964-1972 ) was held on 12 July 2013 at 7:00pm in Noble Hall, Ying Wa College at No. 1 Ying Wa Street, Sham Shui Po, Kowloon. 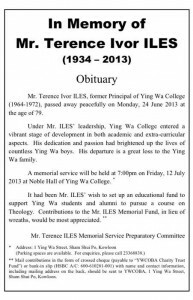 It had been Mr. ILES’ wish to set up an educational fund to support Ying Wa students and alumni to pursue courses on Theology. Contributions to the Mr. ILES Memorial Fund, in lieu of wreaths, would be mostly appreciated. For details, please refer to the attached Obituary.